Richard graduated from University College Dublin in 1999. He completed an internship at the University of Glasgow and was in first opinion small animal practice on the west coast of Scotland thereafter. 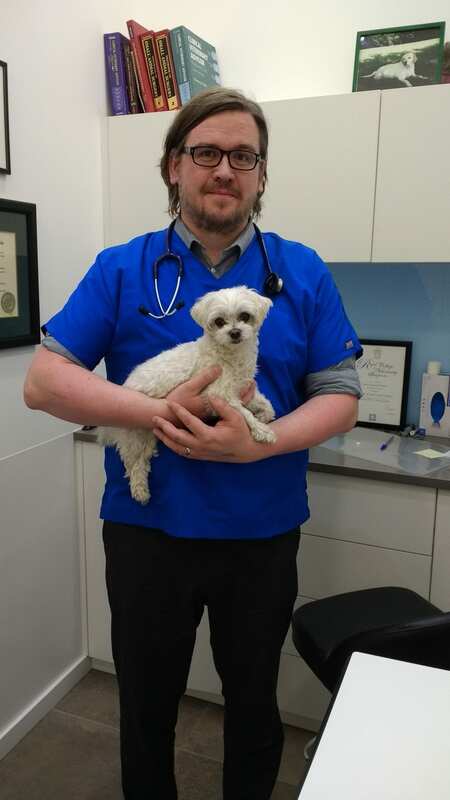 He completed his ACVIM Internal Medicine residency and mast cell tumour-based PhD at the Royal Veterinary College in 2005 and 2008, respectively. He worked in private referral Oncology practices until 2013, and during this time he earned his ECVIM-CA Oncology Diploma. Having most recently worked as a Senior Lecturer in Oncology at the University of Edinburgh, Richard joined IDEXX in June 2016, to start an Oncology consulting service. Richard’s main professional interests are mast cell tumours, novel diagnostics and immunotherapeutics, but he is experienced in all aspects of veterinary oncology and can also offer advice about internal medicine cases. His non-veterinary interests include baking and comedy.